Based on a true story, the film stars James Franco as mountain climber Aron Ralston, who had to amputate his own arm after being trapped by a boulder for nearly five days. Boyle and Franco are expected to attend the red carpet for the festival's closing night. The full festival programme will be announced on 8 September. It was announced last week that Carey Mulligan and Keira Knightley's new film Never Let Me Go will launch the LFF on 13 October. Boyle's last film Slumdog Millionaire closed the festival in 2008. It went on to win eight Academy Awards and seven Baftas. 127 Hours reunites Boyle with Slumdog's Oscar-winning screenwriter Simon Beaufoy and producer Christian Colson. James Franco's other film roles include Pineapple Express and Milk. In a statement, Boyle said: "LFF played a vital role in the journey of Slumdog Millionaire in 2008 and it's great to be bringing new work here and renewing a happy partnership. "I can't wait to unveil the new film and I hope it provides a worthy climax to what will hopefully be two weeks of great movies for our city." Sandra Hebron, the festival's artistic director, said it was "unprecedented" for the festival to choose a closing night film from the same director only two years later. "127 Hours was the obvious choice for us," she added. "With filmmaking as bold and adventurous as its subject matter, it confirms Danny Boyle as one of the world's finest and most visionary directors, and will be a very fitting close to the festival." 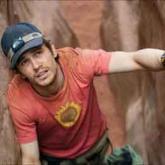 127 Hours is due to be released in the UK in January 2011. The London Film Festival runs from 13-28 October, 2010.